Advantage Motorsport supplies racewear, parts and accessories to motorsport competitors, teams, enthusiasts and spectators in the UK and worldwide. 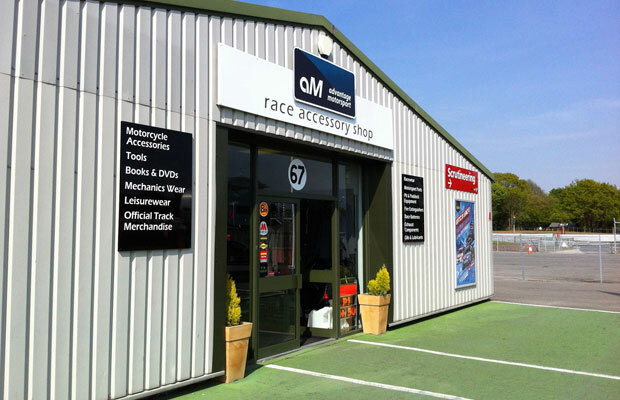 Our race accessory shops are based in the paddocks at the popular Donington Park and Oulton Park race circuits. We offer a friendly, knowledgeable customer service both on site and online. Our team comprises of extremely knowledgeable motorsport enthusiasts, boasting a long history of active participation in motorsport and many years industry experience. You can rest assured we can offer our customers the highest levels of expert help and advice on all the products we supply. Both Donington Park and Oulton Park Circuits host major motorsport events such as British Touring Cars, British F3/GT Championships and British Superbikes as well as track days and smaller events. Advantage Motorsport first opened its doors in 2007 and was founded by Daren Scholes – a local motorsport competitor, enthusiast and garage owner with a long history in the industry and race preparation. 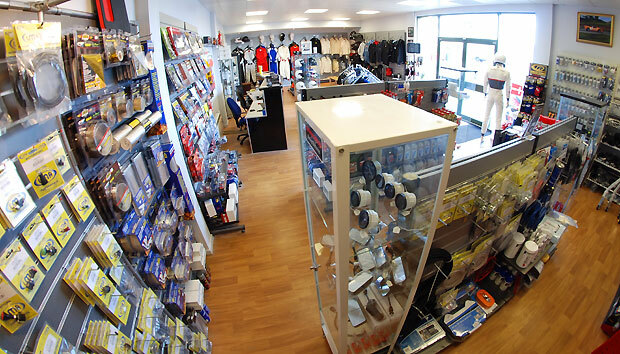 The Oulton Park store quickly built up a reputation for offering great service for racewear, parts and accessories, along with all the essential items people urgently needed at the circuit when something inevitably breaks. The company still sticks to the same ethos of offering a wide range of motorsport products from the top brands in the market, as well as new innovations and all the motorsport 'bits and pieces' that people need at the track. In June 2018 we opened our second store at Donington Park Race Circuit to offer our range of racewear and motorsport parts and accessories to customers based in the Midlands area. Our mail order operation also followed suit and relocated to Donington Park in August 2018 and all online and telephone orders are now dispatched from this location. As one of the UK's most famous and popular race circuits it attracts over 200,000 competitors and enthusiasts every year. 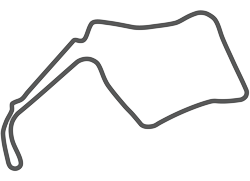 The circuit hosts major motorsport events such as British Touring Cars, British F3/GT Championships and British Superbikes as well as track days and smaller events. Crowds of up to 35,000 regularly visit the circuit for the annual round of the British Touring Car Championship. The Cheshire track also hosts two rounds of the British Superbike Championship and British F3/GT. © Advantage Motorsport Limited. All Rights Reserved.